Square Enix has revealed a new trailer in Japan for their upcoming fighting title, Dissidia Final Fantasy NT. In it, we get to check out all of the confirmed characters who will be fighting for the antagonist Spiritus, who is also known as the Savage God of Destruction. Because of course we need a good-vs-evil split with dramatic names for this game to properly fit in with the Final Fantasy franchise. You can’t just have villains, they need to be outlandishly evil, for a game to be given the title Final Fantasy. 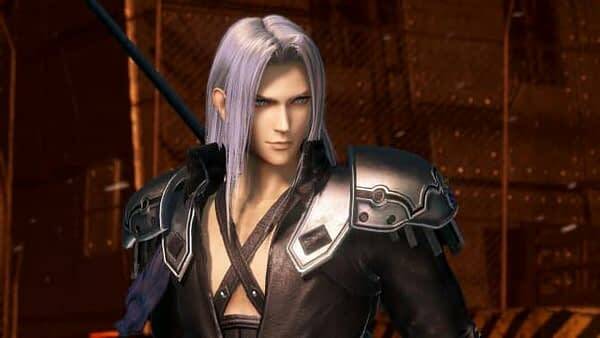 The trailer features fan favorites like Kefka, Exdeath, and Sephiroth, but we also get to see Ace from Final Fantasy Type-0 and Ramza from Final Fantasy Tactics fighting on the side of the villains. Hopefully we’ll get more information on that once the game releases in January. You can post your conspiracy theories as to why Ace and Ramza have switched sides down in the comments, personally, I’m expecting either alternate universe shenanigans or some double-agent type deal for at least one of them. In other recent Dissidia news, the game’s composer Takeharu Ishimoto has resigned from Square Enix effective at the end of this year, and the game is getting an open beta test before launch. Team Ninja and Square Enix released a survey to closed beta players, and we can expect to see some changes to appear in the open beta test next month. You can check out the full roster of characters included in the game, or take a gander at the pre-order bonuses and collector’s editions while you’re at it. Dissidia Final Fantasy NT is releasing exclusively on PS4 on January 30. You can check out the new trailer below. Fair warning, it is in Japanese.